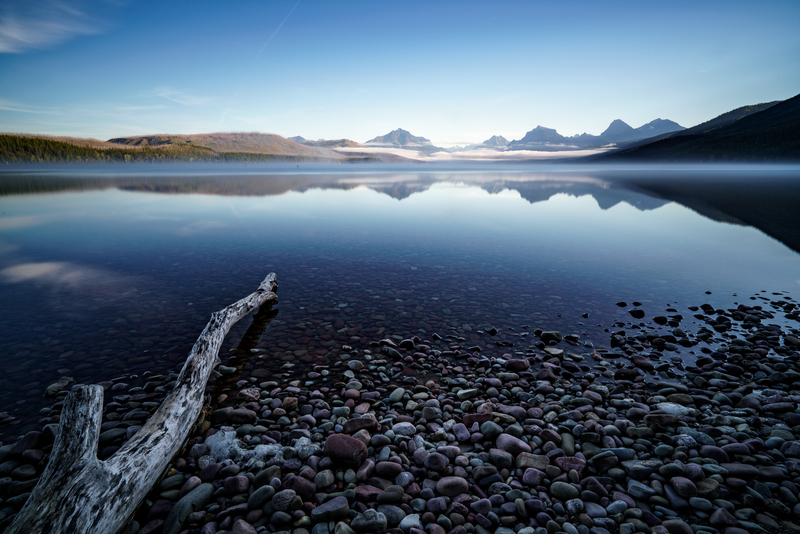 Lake McDonald was one of my top places to see when visiting Glacier National Park. I had wanted to photograph the sunset there, but even though standing by the lake in the chilly air waiting for the sun to go down was enjoyable in and of itself, a cloudless sky meant blah pictures. I had more photographic success the next morning, when I was greeted with mist rising from the water, adding atmosphere to the scene. I used a Lee Big Stopper filter to smooth out the water and reflections.